Step off the beaten path and head to Seventy-Five Mile Beach and Central Station Rainforest. Take a break from the city and head to Eli Creek and Lake McKenzie. For reviews, ratings, where to stay, and more tourist information, you can read our Fraser Island route planner. Berlin, Germany to Fraser Island is an approximately 35-hour combination of flight, ferry, and car. You can also do a combination of train, flight, ferry, and car. The time zone changes from Central European Time (CET) to Australian Eastern Standard Time (Queensland) (AEST), which is usually a 9 hour difference. In January, daytime highs in Fraser Island are 36°C, while nighttime lows are 24°C. Wrap up your sightseeing on the 23rd (Thu) to allow time to travel to Melbourne. 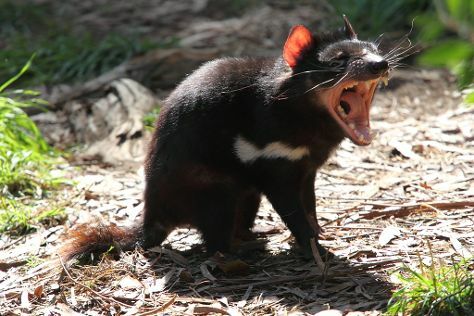 Take a break from the city and head to Healesville Sanctuary and Lake Wendouree. Eschew the tourist crowds and head to Eastern Beach Reserve and Anglican Church, Barwon Heads. Venture out of the city with trips to Spas & Wellness (in Daylesford), Dandenong Ranges National Park (in Dandenong) and The Great Ocean Road (in Torquay). There's still lots to do: take in nature's colorful creations at Royal Botanic Gardens, examine the collection at Melbourne Museum, take in panoramic vistas at Melbourne Star Observation Wheel, and stroll through Melbourne Zoo. To see other places to visit, ratings, maps, and more tourist information, use the Melbourne route planner . You can do a combination of car, ferry, and flight from Fraser Island to Melbourne in 10.5 hours. Alternatively, you can do a combination of car and ferry; or do a combination of car, ferry, and train. Traveling from Fraser Island in January, things will get a bit cooler in Melbourne: highs are around 32°C and lows about 17°C. Wrap up your sightseeing on the 28th (Tue) early enough to travel to Kangaroo Island. Get in touch with nature at Raptor Domain and Remarkable Rocks. You'll explore the less-touristy side of things at Admirals Arch and Flinders Chase National Park. Spend the 2nd (Sun) exploring nature at Kangaroo Island Wilderness Trail. 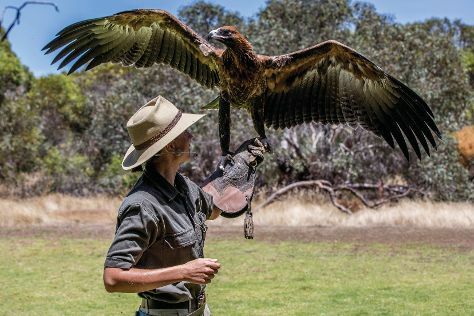 There's lots more to do: look for all kinds of wild species at Hanson Bay Wildlife Sanctuary, enjoy breathtaking views from Cape du Couedic Lighthouse, savor the flavors at Kangaroo Island Spirits, and explore the fascinating underground world of Kelly Hill Caves. To see where to stay, reviews, maps, and more tourist information, you can read our Kangaroo Island road trip planner. Traveling by flight from Melbourne to Kangaroo Island takes 3.5 hours. Alternatively, you can do a combination of car and ferry; or do a combination of ferry, car, and bus. Cap off your sightseeing on the 2nd (Sun) early enough to travel to Adelaide. You'll explore the less-touristy side of things at Cleland Wildlife Park and Encounter Bikeway. Take a break from the city and head to Granite Island and Stand-Up Paddleboarding. Venture out of the city with trips to The Cedars (in Hahndorf), Morgan Beach (in Cape Jervis) and St Joan of Arc Catholic Church (in Victor Harbor). And it doesn't end there: stroll through Blowhole Beach, grab your bike and head to Adelaide Park Lands, test your team's savvy at popular escape rooms, and explore the world behind art at Art Gallery of South Australia. To find other places to visit, photos, and other tourist information, read our Adelaide vacation builder . Fly from Kangaroo Island to Adelaide in 2.5 hours. Alternatively, you can do a combination of car and ferry; or do a combination of taxi, ferry, and bus. In February, daytime highs in Adelaide are 32°C, while nighttime lows are 19°C. Cap off your sightseeing on the 6th (Thu) early enough to travel to Manly. On the 7th (Fri), stroll through Shelly Beach, identify plant and animal life at North Head Sanctuary, then hike along Parsley Bay Reserve, and finally enjoy the sand and surf at Balmoral Beach, Mosman. To find where to stay, ratings, more things to do, and other tourist information, go to the Manly travel route planning tool . You can do a combination of flight and ferry from Adelaide to Manly in 4.5 hours. Alternatively, you can drive; or take a bus. 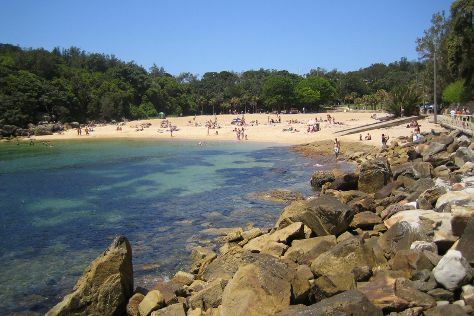 Traveling from Adelaide in February, Manly is a bit warmer at night with lows of 23°C. Wrap up your sightseeing on the 7th (Fri) to allow time to travel to Airlie Beach. Escape the urban bustle at Kayaking & Canoeing and Scuba & Snorkeling. Eschew the tourist crowds and head to Nature & Wildlife Tours and Horseshoe Bay. On the 10th (Mon), spend a thrilling day on the water with a speed boat tour. Next up on the itinerary: get some thrills out on the water with a waterskiing or jet-skiing adventure, relax and rejuvenate at some of the top local wellness centers, look for gifts at Into The Blue Gallery, and go for a walk through Bicentennial Walkway. To see where to stay, traveler tips, other places to visit, and tourist information, read our Airlie Beach online trip itinerary maker . You can do a combination of ferry, flight, and bus from Manly to Airlie Beach in 5.5 hours. Other options are to do a combination of ferry and flight; or drive. Expect a bit warmer evenings in Airlie Beach when traveling from Manly in February, with lows around 28°C. Wrap up your sightseeing on the 12th (Wed) to allow time to travel to Port Douglas. Take a break from the city and head to Agincourt Reef and Opal Reef. Explore hidden gems such as Spas & Wellness and St Mary’s by The Sea chapel. Spend the 13th (Thu) among aquatic life with a scuba or snorkeling tour. Spend the 15th (Sat) spotting exotic species with a safari tour. There's much more to do: look for all kinds of wild species at Hartley's Crocodile Adventures, learn about wildlife with up-close encounters at Wildlife Habitat Port Douglas, and get outside with The Bump Track. To see where to stay, reviews, more things to do, and tourist information, refer to the Port Douglas trip planner . Traveling by combination of ferry, flight, and shuttle from Airlie Beach to Port Douglas takes 6 hours. Alternatively, you can do a combination of bus, flight, and shuttle; or drive. In February, daytime highs in Port Douglas are 36°C, while nighttime lows are 28°C. Finish up your sightseeing early on the 17th (Mon) so you can go by car to Cairns. Get outdoors at Balloon Rides and River Rafting & Tubing. You'll discover tucked-away gems like Atherton Tablelands and Muddy's Playground. Spend the 18th (Tue) among aquatic life with a scuba or snorkeling tour. Next up on the itinerary: tour the pleasant surroundings at Esplanade Boardwalk, head off the coast to Michaelmas Cay, and pause for some photo ops at Cairns Cenotaph. For where to stay, photos, and tourist information, read our Cairns day trip site . Traveling by car from Port Douglas to Cairns takes 1.5 hours. Alternatively, you can take a bus; or take a shuttle. In February, plan for daily highs up to 36°C, and evening lows to 28°C. Finish your sightseeing early on the 21st (Fri) to allow enough time to travel back home.